For thousands of years, colors obtained from plants have been used to tell others where we come from and where we fit in society. Until synthetic dyes were developed in the mid-1800s, exotic dyestuffs acquired through trade from distant sources were reliable signs of wealth and status. Petroleum-based dyes now make it possible for nearly every little girl in the U.S. to go through a purple phase. But there’s a high cost to using cheap dyes made from non-renewable resources. There’s also a high cost to using non-renewable resources to transport other resources to every corner of the globe. 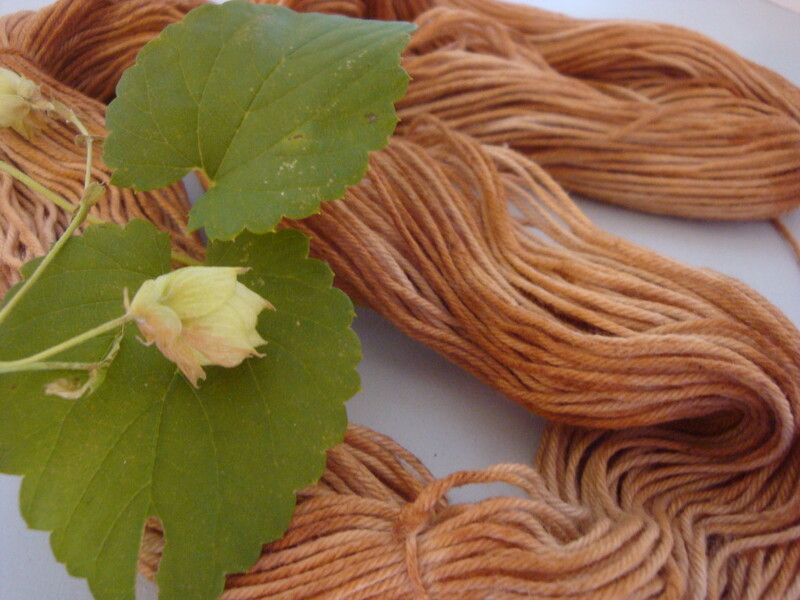 That’s why my interest in natural dyeing is focused on using what grows in the Upper Midwest, including willow. 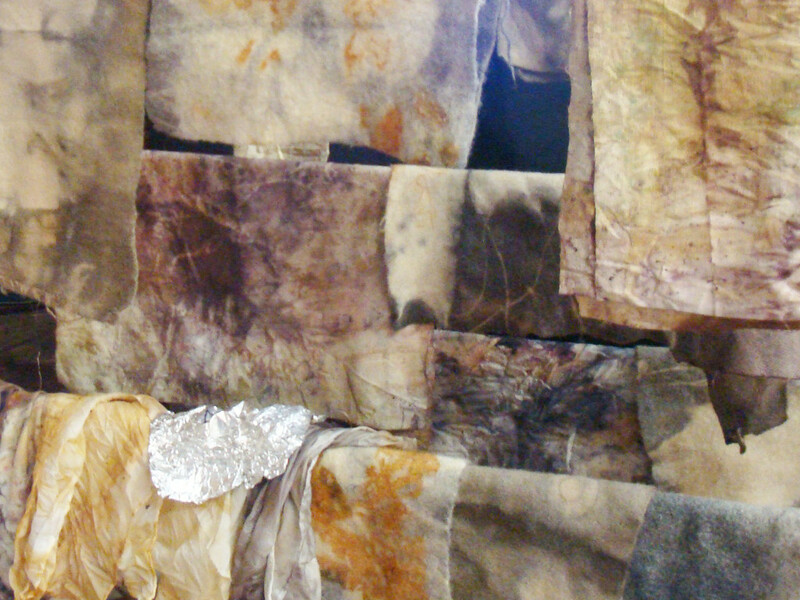 There’s much to be learned from the lore of dyeing with other materials. So I read about what other people do with eucalyptus leaves and woody materials that grow in places that sound exotic when you’re from Wisconsin. Then I sample ways to adapt those ideas to materials that grow where I live, and the techniques I use. For example, in looping projects I like to use yarns and threads that are not a single, flat, even or “level” color. I mean no disrespect to 30,000 years of dyers who’ve worked to make the craft predictable. But in my work and in my eyes, mottled thread seems to give a piece more life. Luckily, there’s room in the craft for all sorts. Dyeing has a fascinating history. If you can pull yourself away from YouTube and Turkey Red Journal, this brief article will give you an idea of just how long ago our ancestors began using these techniques. When you have a bit more time, watch and listen to this talk about the Xinjian textiles by archaeologist Elizabeth Wayland Barber. Fascinating stuff. The spam-bots are quick to find my pages so I’ve turned off comments on everything except my blog. 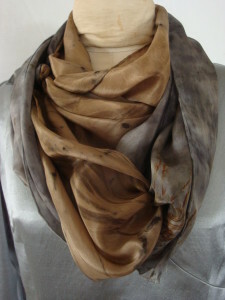 But I’d love to hear your thoughts on natural dyeing posts there, or on my Facebook page.